This crazy delicious Chili Salmon is coated in chili spices then slow baked so that it stays super moist and tender. No dry salmon here! It's also a naturally gluten-free + paleo + Whole30 dinner recipe that is super healthy for you. Today's chili salmon recipe might be the easiest recipe I've ever shared with you. Don't worry though, it's crazy delicious. Here's the truth: I never planned on sharing this recipe with you. This is one of those ‘recipes' that I've made so many times that I forget it's even a recipe. When I made the salmon this time, it was supposed to be our lunch and then leftovers for a quick dinner. That was all, folks. The salmon went on the pan, was sprinkled with the spices I like and then popped in the oven. While the salmon was cooking, I took a bath with my little girl and that's when it dawned on me that YOU might also like the easiest salmon recipe ever. And yes, I thought about you while I was taking a bath. ? 1. It's the easiest thing in the world to make. If you can turn on your oven and sprinkle spices, you can make this. I'm not even joking. This recipe will make you look like a rockstar in the kitchen, no matter what your cooking skills are. 2. FIVE MINUTE DINNER PREP. Sorry for yelling that at you. I got a little excited. 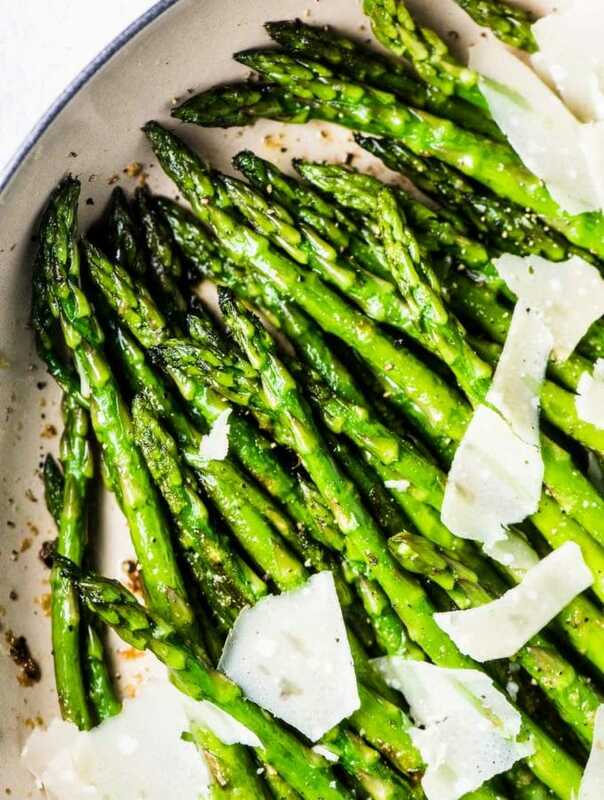 Serve this with a big plate of greens tossed with some balsamic and olive oil and dinner will literally take you 5 minutes to make. 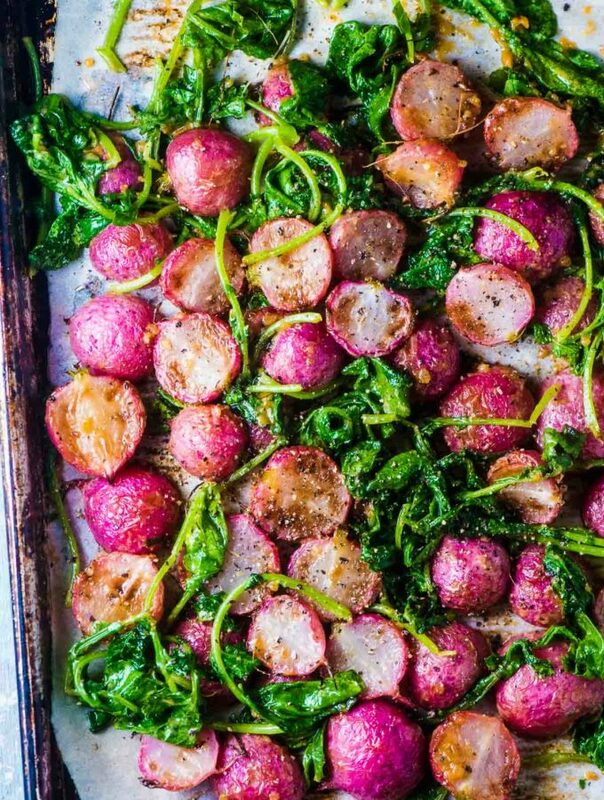 Throw some potatoes in the oven first and add an extra minute to your prep time. This is seriously the best healthy, weeknight, easy meal. 3. Chili salmon leftovers are THE BEST! 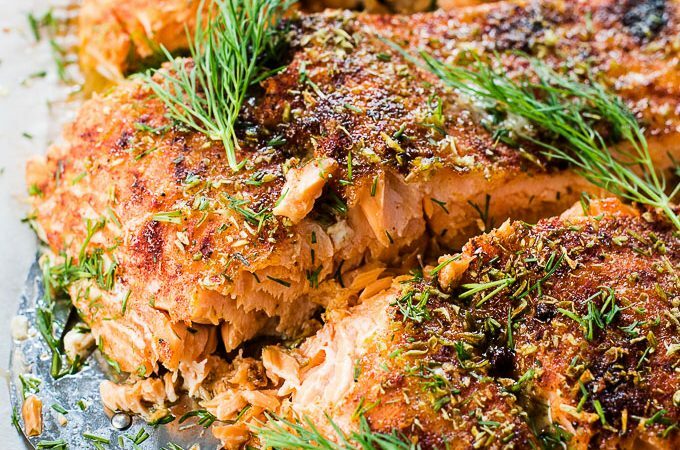 This salmon is as good cold as is it hot out of the oven. Not even joking. If I could show you my empty plate of leftover chili salmon that is sitting next to me on the couch, I would. That would prove my point, wouldn't it? Just don't do anything silly like try and warm it up. Please don't do that. Fish should never be reheated. (Insert all the ew gross emoji faces.) BUT … if you serve this cold it is delish! 4. This is a 100% totally and completely healthy recipe, and you know how much I love healthy recipes. When I was doing the Whole30 Program, this chili salmon was a staple on the table. Most other chili salmon recipes have some sort of sugar in the ingredient list. Don't get me wrong, a sweet glazed salmon can be delicious. 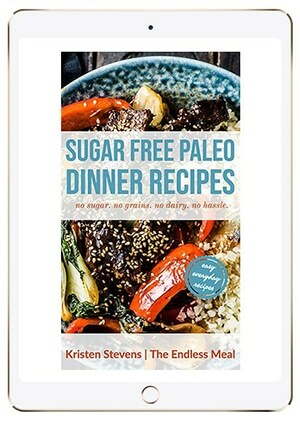 But with this recipe, you totally don't need to add any type of sugar. 5. It is a guaranteed kid-friendly recipe. That can be a good thing or a bad thing depending on how keen you are about having your kids eat all the salmon on you. This is one of my little girl's favorite recipes and she eats a TON of it every time I make it. Just look at that little salmon-eating face. ? Preheat your oven to 270 degrees. Line a baking sheet with parchment paper. If you'd like, remove the skin from the salmon. See notes. Lay the salmon on the prepared baking sheet. Sprinkle the salmon with the chili powder, smoked paprika, oregano, and sea salt. Drizzle with the oil. Bake in the oven for 30 minutes. When the salmon is done cooking, it will feel firm but still give a little when you press a finger into the top. If you have a meat thermometer, it should read 140 degrees Fahrenheit. To remove the skin from the salmon, lay the fish skin side down on a flat surface with the tail end (the small end) towards your dominant hand. Cut straight down through the flesh (but not the skin!) very close to the end then turn your knife on a 45-degree angle and slide it along the fish. It helps to use one hand to pull the skin taunt while you slide the knife. It's a little tricky at first, but after you do it a few times it becomes pretty easy. Also, make sure the knife you use is super sharp! Slow baking the salmon is such a great trick! I always struggle with salmon ending up dry even when I’m careful not to over cook it. This time it turned out perfect! It’s the only way I bake salmon! It never fails!! I love salmon but got totally distracted by that beautiful baby girl modeling the yummy salmon. You are so blessed.